Whether in flight from conflict, with the hope of building a better life, or to seize a social or economic opportunity, people have been crossing borders for as long as there have been borders to cross. Modern means of transportation and communication, the globalisation of the labour market, and the ageing of populations in OECD countries will drive migration well into the next decades. Education is key to helping immigrants and their families integrate into their adopted countries. How are education systems adapting? Results from PISA 2009 show that although native students generally outperform students with immigrant backgrounds, some countries have been able to narrow the performance gap between the two groups considerably—even as the proportion of immigrant students has grown. I went back 25 years in time yesterday, as I sat with participants at the European Youth Forum, all young, vibrant, educated and driven. I felt as if I were at university with my daughter and 100 of her friends. We discussed the future, skills, and in particular, the skills mismatch, described by Andreas Schleicher as “a lot of unemployed graduates plus a lot of employers looking for skilled workers”. At the eve of my own career 25 years ago, my current profession did not exist. The Internet did not exist. There were fewer graduates and fewer employers looking for skilled employees. Did we worry about getting jobs? Probably, but back then a degree was the passkey. ﻿﻿﻿﻿﻿﻿﻿﻿Most of the time, transforming education involves a strategy that is proposed, debated, planned and rolled out. 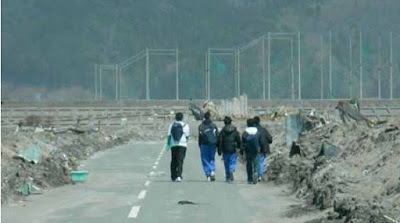 ﻿﻿﻿﻿﻿But for the children, teachers, families and communities of the Tohoku region of Japan hit by the earthquake and tsunami, education was transformed in the space of an afternoon -- with no warning, no planning, no time to develop a strategy and no choice. Yet despite being uprooted from their homes, grieving for lost loved ones and unclear about their futures, for the children of Tohoku, the last few months have transformed what they learn, how they learn and why they learn. Randi Weingarten, attorney, educator and president of the 1.5 million-member American Federation of Teachers spoke with Marilyn Achiron during an afternoon at OECD headquarters. This is a continuation of the conversation that was posted on 30 November 2011. Marilyn Achiron: How would you define effective education? Randi Weingarten: Most of our educational systems have been created to an industrial model. They were built to ensure that kids could competently deal with the routine tasks that were necessary in factories. Some kids would succeed in a different way; but in the main, we were educating kids to be employed in factories; and educating a lot of people to be housewives. The world has totally and completely changed. What has to happen now is that education has to be about knowledge acquisition and knowledge application. And that has to be for virtually all kids, not simply some kids. 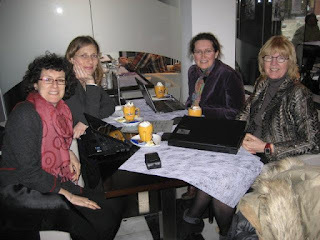 As in many European systems, Flemish schools are very used to school inspectors knocking on their doors. Schools have to let them in, as such external evaluation is a requirement. The inspectors make a “recommendation” to the Flemish authorities on whether or not the school should continue to be able to award official certificates and to benefit from public funding. Debates over international migration tend to be driven by national politics and often incomplete information. But to better understand both the real drivers and effects of migration, it is critical to analyse them by region. The total number of migrants – as well as the profiles of the foreign-born population – differs widely from region to region. For example, more than 13% of people in London and Brussels and nearly 10% in Murcia are foreign-born arrived there less than 5 years earlier, while in the other regions of these countries recent migrants represent between 3% and 6% of total population.